Very small businesses—on the order of 1 to 10 employees—don’t have IT departments to manage their network infrastructure. Responsibility for tech support typically rests with that one employee who has just enough tech savvy to get by. And when you’re talking sole proprietorship, that person is often you, the proprietor. So you buy consumer networking gear because it’s inexpensive, it’s widely available, and it’s easy to install. Ruckus thinks it has a better solution for you. It’s introducing an all-new series of Wi-Fi products under the Xclaim brand that it says will bridge the gap between complex, high-priced enterprise network equipment and simple, low-cost consumer gear. Ruckus also developed an app called Harmony to make it easier for non-techies to set up and manage a network. 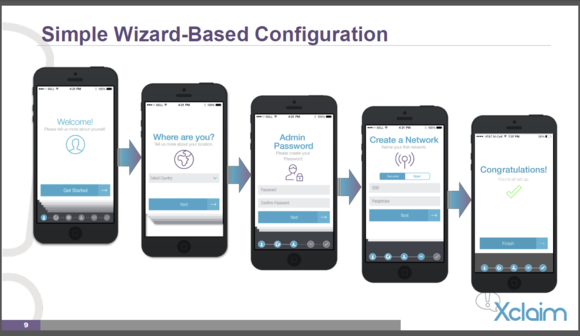 Harmony includes a wizard-driven setup routine, it reports on the access point’s health, and it provides real-time stats on the entire network’s performance. The free app is available now for iPhone and Android smartphones, and Ruckus is working on a version for the iPad. Ruckus developed a smartphone app to help users install, configure, and manage its Xclaim Wi-Fi access points. 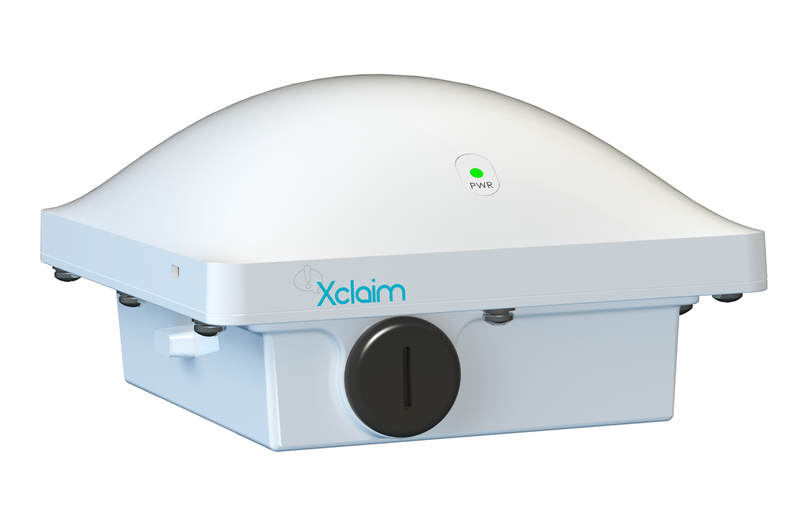 There are currently four products in the Xclaim line: three indoor access points and one outdoor model. These are all 2x2 models, meaning they support two spatial streams for transmitting and two for receiving. All four support IEEE 802.3af power-over-ethernet, so you don’t need an AC outlet near where you install them. Ruckus includes a power injector in the box, which you insert between the router and the ethernet cable that connects it to the wireless access point. The injector uses the same Ethernet cable to carry the electricity the AP needs to operate. That eliminates the need for a wall wart at the AP, and a surge protector to protect it from power spikes. The Ruckus Xclaim Xi-1, $89, is a selectable dual-band 802.11n AP (“selectable” means it will operate on either the 2.4- or the 5GHz frequency band, but not both at the same time). The $149 Xclaim Xi-2 is an actual dual-band 802.11n wireless AP, so it can support discrete wireless networks on both the 2.4- and 5GHz bands simultaneously. The $199 Xclaim Xi3 moves up to the faster 802.11ac standard and also operates discrete networks on both the 2.4- and 5GHz bands. The final AP in the Xclaim lineup, the $299 Xo-1, is a weatherized dual-band 802.11ac model designed for outdoor use. The Xclaim Xo-1 802.11ac Wi-Fi access point is enclosed in a weatherized enclosure to protect it from the elements. 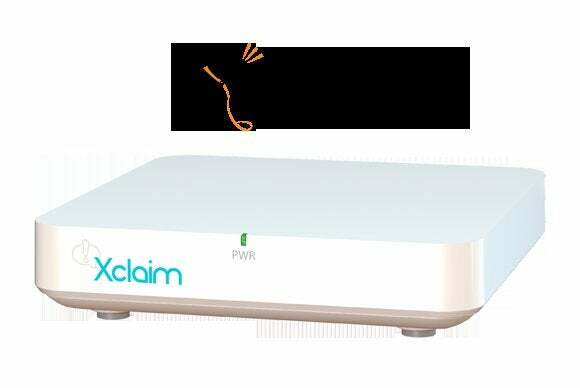 If you decide to buy an Xclaim product, don’t toss your existing router—consumer or otherwise—on the scrap heap. The lineup announced today includes only wireless access points (APs). You’ll still need a router to share your Internet connection among several devices, to direct traffic on your network, and to perform the other functions that a router handles. If you’re using an integrated router/gateway provided by your Internet service provider, you’ll just need to turn off its wireless function before connecting an Xclaim AP to it. Xclaim-series access points can be purchased from online retailers, from a limited number of value-added resellers (VARs), or directly from Ruckus. Ruckus expects some Internet service providers might also be interested in reselling the APs to their customers. Tech support will be available through online forums, but Ruckus has no plans to offer telephone tech support. VARs would also provide limited tech support to their own customers. Ruckus offers two-year warranties on the indoor models and a one-year warranty on the outdoor AP. How do you manage your small-business network today? Are you using consumer-class gear or something more robust? Do you handle your IT needs, do you have an IT person on staff, or do you have a contractor handle the job? Share your thoughts in the comments section, below.